In a world with social media reigning supreme, innovative technology being developed every day and the realization of new methods to complete every business processes – it is no surprise that technology will play a role in social enterprise in the coming years. With creative social solutions such as developing reading machines for the disabled community, mobile applications designed to educate children in third world countries and other innovative ideas, social entrepreneurs are embracing the power of technology to create social change. A great example of this technology-driven social change is mPowering, a mobile application that awards goods and services to individuals facing extreme poverty when they make beneficial choices, such as attending school or seeking prenatal care. This concept, based on an incentive model, is designed to improve the lives of the ultra-poor by allowing them to meet their short-term needs, while focusing on their long-term goals to get out of the poverty cycle. Additionally, the mobility and viral access that technology grants allows donors and contributors to see the change that they are making. An obvious question that arises is why a poverty-filled region of the world would even be able to access a Smartphone application? However, surprisingly enough, regions where there are extreme needs for education, infrastructure and medical care, often also have excellent cell phone coverage. And this is what sparked the idea of mPowering. With technology often reaching farther then philanthropy and charity can, it is clear to see how technology can play a critical role in supporting individuals that need the help in such regions of the world. However, technology can also create social change closer to home. Organizations like EthicalDeal and the Ideal Network are embracing the group-buying model to promote an ethical consumer movement. Through an online website, these organizations highlight green or ethically-made products and use the group-buying model to help these companies reach a mass market. These group-buying models allow consumers to try new and unfamiliar green and ethical products. Though these are just a few examples of social entrepreneurship creating innovative positive changes through technology, these are just hitting the tip of the iceberg. From a basic e-commerce site to new patented technology – there are new ideas and new solutions to the social problems we face. Social entrepreneurship is changing the face of philanthropy and how we make positive change, and there are no doubts that technology will be a median this is done through. Are Co-ops the Best Model for Social Enterprise? This is a debate that is discussed time and time again. They allow artisans to sell their products in a larger scale. They offer a solution to the dilemma between profit and purpose. But are co-ops sustainable? Are they the best model for social enterprise? That set me wondering what the priorities should be for such companies. Benioff cited Toyota as an example of a company that had got the message and embraced the social enterprise byputting Chatter in its latest models. But while the social component is being delivered from the cloud, the motor company’s core systems are still running firmly on-premise. In the morning keynote, Benioff shows off a diagram on a napkin that describes the social infrastructure of Burberry, another recent ’social enterprise’ convert. Clearly visible at the foot of the scrawled schematic is the interface to the company’s SAP business systems. 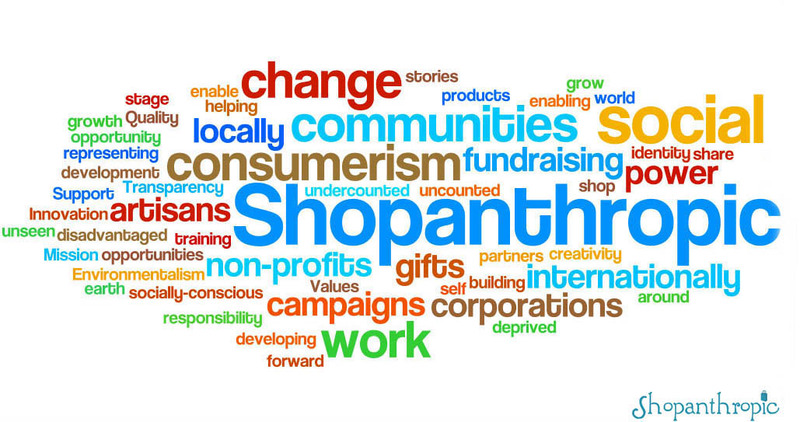 As we continue to grow our selection of products and range of communities and cultures we work with, Shopanthropic is excited to be collaborating with artisans in Nepal through a recently formed partnership with cooperatives in the country. Across this ancient country, artisans are using their age-old traditions and production methods to create beautiful handicrafts. The products they make have a focus on using natural resources and preserving Nepal’s ancient art forms. Products such as finger puppets are hand-made by artisans in Nepal, using local materials such as felt, a material made out of sheep wool. Felt is a hand-made 100% non-woven woolen fiber matted together by hot water and pressure without spinning, weaving or knitting. Additionally, Nepali artisans are known for their Nepali paper-products that are recycled, made by ancient techniques, and incorporate traditional Nepali art. Hailing from small farmer communities across Nepal, felters, spinners, weavers and more are trying to use their skillset to raise themselves and their communities out of poverty. Growing up in difficult conditions, many of these individuals, particularly women, face severe hurdles that have left them impoverished and despondent. For example, a woman might have her family’s land repossessed by the government if no living male heirs are available to take ownership of the land. She might have been denied education and skills-training due to the fact that she is female. This uneducated woman would most likely be responsible for supporting a large family with or without support from a husband. Though this is just an example of what life might be like for such villagers, it is a life that millions lead in Nepal. Community taboos, illiteracy, a lack of infrastructure and poverty leave such individuals poor and alone and this is where the value of cooperatives truly show. Cooperatives – organization that are owned and run jointly through its members, who share the profits and benefits of the organization – allow such individuals to receive financial & technical support, giving them ‘work based-training’, and creating income–generating programmes that directly benefit low income groups, especially women. How does it work? Individuals could join a cooperative and try out different skills required in making products such as spinning, weaving or felting, until they find something they enjoy. Here they will get training, support and assistance in meeting the basic needs of their families. By bringing together such a large labour force, the cooperative is able to produce mass amounts of products and create a larger financial return for its members. While poverty is not completely eradicated through these efforts, these artisans are able to provide for their families through an increase in income. Additionally, the stability of a job with fair wages allows these individuals to gain a sense of self-respect and pride. It allows them to be independent and stand up against the taboos of their society. And so the poor artisans of Nepal have hope that they can improve their lives, their family’s lives, and the infrastructure and stability of their communities. Currently, Shopanthropic is carrying sets of finger puppets that are a part of our collection supporting Earth Rangers. 25% of sale proceeds from this collection will go to benefit the work of Earth Rangers (http://www.earthrangers.org/blog/support-earth-rangers-with-shopanthropic/). Follow us on Twitter and subscribe to this blog!